Cheap Boat Loan Rates – Get Your New Boat With The Boat Loan Experts. Would you like to improve your lifestyle and change your weekends forever? If so, then buying a boat and getting out on the river or open water is a great way to fulfill that dream. 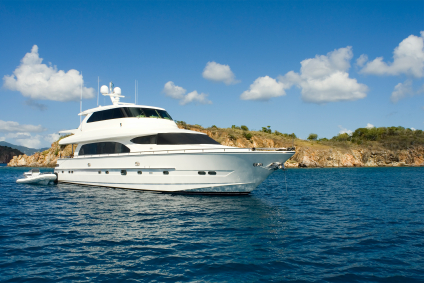 We provide cheap boat finance and marine loans – lower rates than the banks. We are boating people and understand that you require budget boat finance arranged quickly and professionally. We compare marine finance interest rates through many different boat loan lenders for a small boat for fishing or a luxury cruiser, our experienced friendly staff can help you secure the finance you require. Use Aussie Loans for your Low Rate Boat Loan? Our staff understand and are experienced with all types of marine funding. Paperwork for both the boat sale and the boat loan can be handled by our team. Buy through a dealer, boat broker or privately – we want you to have the boat you want. There are several benefits for using Aussie Loans Boat Finance? Boat finance to suit your budget – you can choose a boat loan term from 2-7 years. Boat Insurance is available through Club Marine. This product can be financed within the loan. Choose to make your payments weekly, fortnightly or monthly. With your Boat Loan, how does the process work? We initially take down all your details on an application form over the phone. Once we have completed this, we then email you or fax to you a Privacy Act form and the NCCP 2009 Credit Guide form to read and sign. You then return these to our office with a current payslip – Email, Fax or drop them in – whichever way is convenient for you. We will then process the paperwork, source the best interest rate and loan term that will suit you budget and get this loan approved. Once approved, the financier will advise us of any further paperwork that will be required at settlement. Examples of these are your drivers licence – an original copy will be required: Bank details – BSB and your account number will be required for the direct debit monthly repayment and any other items that may be specific to your loan. If approved, we will call the seller and request a sales invoice which have the description and details of the Boat/jetski that you are purchasing. These details are necessary so that the Loan documents can be drawn up ready for you to sign. If conditioned, we will discuss with you what it is that the financier requires to approve the loan. It may be that they require a small deposit to be put towards the purchase, it may be that the boat may have some issues. There are many reasons why a loan may have some conditions put on it however there is nothing to worry about – we sort through these issues with you and then get the documents drawn up ready to sign. If Declined, we talk with the financier for the reasons why. In most cases, these issues can be fixed otherwise we will approach a 2nd financier for you. Once the documents are drawn up, we will coordinate a sign up meeting with you and the 2nd borrow if there is two. This meeting may be held at one of our offices or at the dealership where you are purchasing the boat. We need access to a photocopier to take copies of identification so that is a reason for the meeting being at one of these two locations. Once the documents are signed, we send them off for settlement and the funds will then be banked to the sellers bank account. The boat is then ready for for you to collect and enjoy. Call us now on 1300 256 267 for a fast approval low rate Boat Loan.